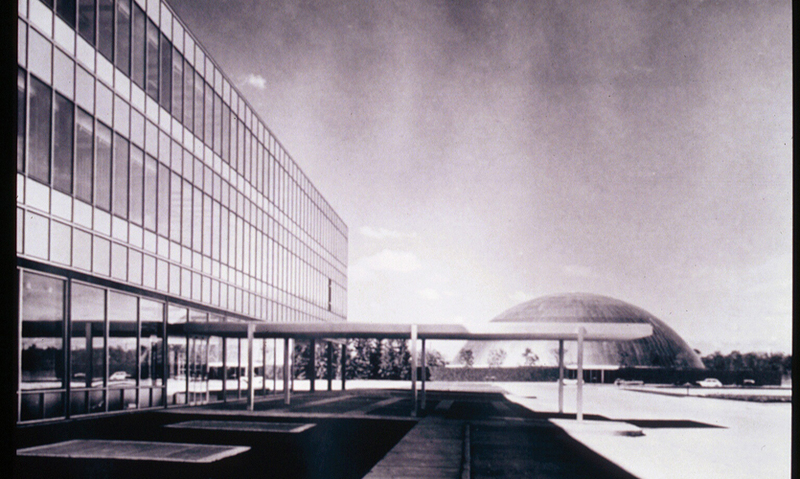 The General Motors Technical Center is world famous as a work of mid-twentieth century modernist architecture and a prime example of the work of Eero Saarinen. The campus, currently two campuses divided by railroad tracks and 38 buildings accessed by 16 gates, had grown by necessity and presented a veritable wayfinding challenge. General Motors Worldwide Facilities Group decided to renovate the campus to support a new business model that will consolidate the various brand-centered engineering and design divisions, and combine them in one, central, efficient campus that will facilitate creative interaction by staff teams. The designer was asked to create a wayfinding master plan to complement the new campus design. Goals for the plan were to communicate the innovative work that occurs at the Technical Center and the pride that GM has in its talented staff as well as enhance the arrival and wayfinding experience in and around campus. "This wayfinding analysis carefully unwinds a 50 year-old campus with significant modernist buildings and a complex infrastructure. It then carefully and deliberately organizes and structures the basic functions so that a wayfinding system can be elegantly implemented through signage and site graphics. This work will form the basis of site signage for the next generation of GM activity and so respects the history and culture of the place."